Lima Cochabamba is a very pleasant city in many ways, but La Paz and El Alto are what’s happening as unique political, social, and cultural environments which are hard to duplicate in the rest of the world. The strategic and tactical power of El Alto over the country, because of its geographical stranglehold and emergence and sustained social movements are inspiring, no matter how fragile the future. 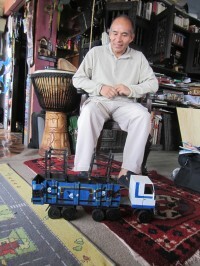 One of the hardest puzzles is the career and role of the Evo Morales as not only the first indigenous President of the country, but because of his role in the cocaleros and the water and gas wars, he is legitimately a creation of the social movements even as he was a shrewd politician that rode their wave to victory. Is he manipulating and co-opting the leadership and energy of the social movements as the left argues or is he a captive of them as the right contends? Surprisingly, the organizations and leaders we visited with were almost universally critical of Evo, even when they were often shock troops for his party, MAS, and seen as uncritically supportive. There was not simply a feeling of disenchantment, but in the words of one former MAS member, “he is taking control of everything.” There was a feeling that he had delivered on his promises, but had weakened the social movements sufficiently that there was no contender likely to prevent Evo from another term, or more. There was unanimous support for Evo as a political symbol, much in the same way that Obama as the first African-American President of the US occupies unassailable ground that warrants unambiguous respect, but it was increasingly begrudging. Even the FUEVE, thought to be the most powerful community organization in the country and certainly in El Alto, didn’t blink at the question that Evo had favored the rural areas of the country and not delivered to the cities. FUEVE is also reportedly Evo’s strongest defender. The comments about Evo’s isolation also warn that there may be a time when social movements could once again be called on to protect the democracy, if Evo is tempted to reach beyond his grasp, regardless of his current base support. 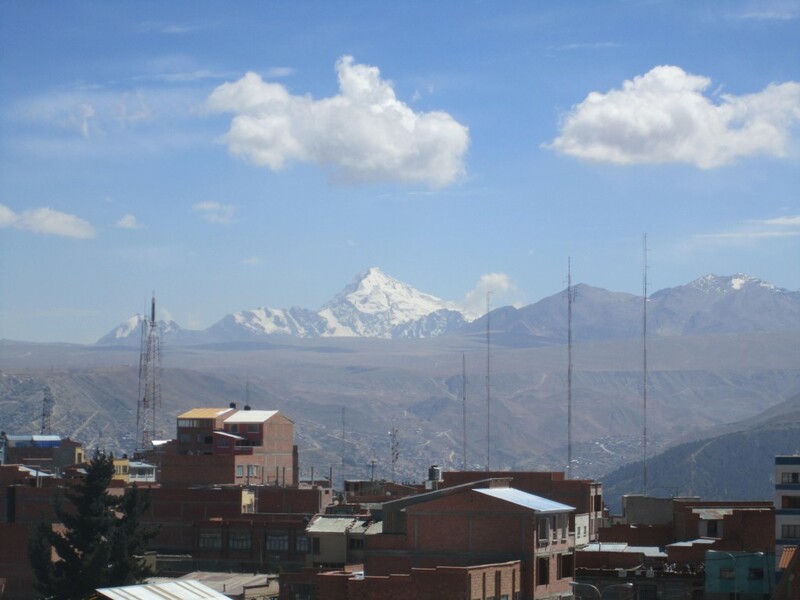 Cochabamba Our days in La Paz were never complete without a trip to or from El Alto, the city of a million on the top of the mountain, which made us acutely aware of the importance of this strategic location in the future of social movements and the very country. Meeting with Ivan Nogales, the director and 23-year veteran of Teatro Trono, he made the same point by beginning our visit with a sweeping historical look at the rebellion in 1789 where the poor at the top of the hill were able to encircle for a while the rich at the bottom of the mountain, and nearly starve them out. By analogy he felt that El Alto and his mutli-cultural centers headquartered in here with branches in a half-dozen other cities in Bolivia and one in Germany had created an artistic culture that was unique and powerful. 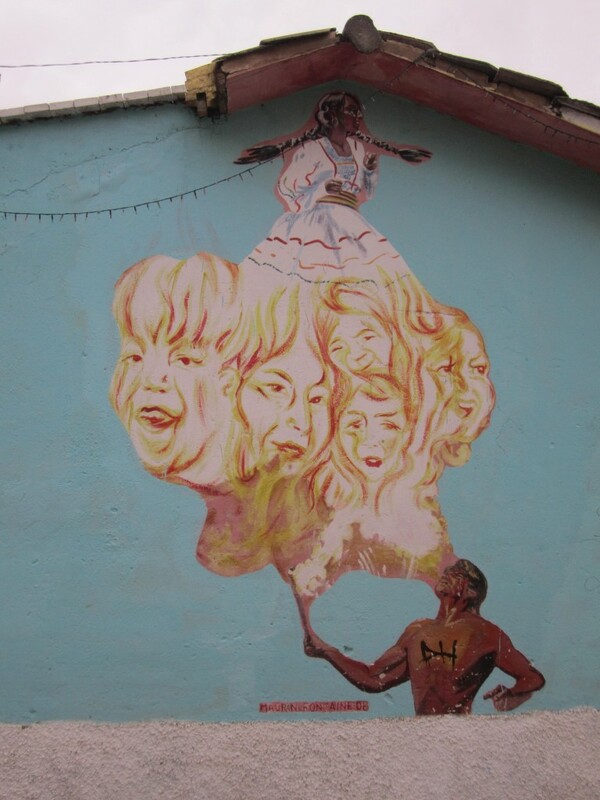 Ivan in many ways was arguing for a role for the artist in creating change by laying a foundation away from the rational mind, as he phrased it that could unite people and offer support to struggle in Bolivia, but also around South America. 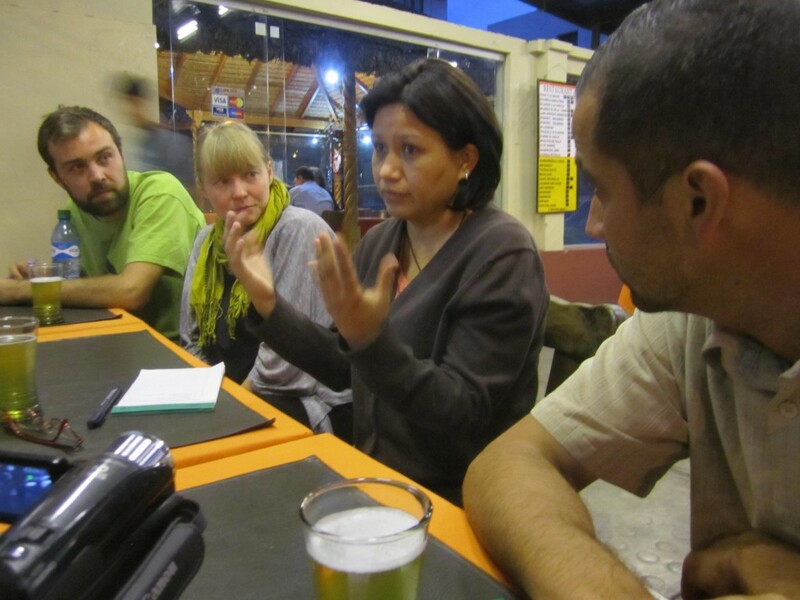 He was encouraged by meetings of cultural workers in several countries that were coming together to collaborate. He told a story of several years ago taking a bunch of his team in an art truck of sorts and he showed us the model. They were headed for Rio on a trip of over 4000 kilometers with a truck that could not go over 70 kph or 50 mph or so. At the same time he tried to share the powerful welcomes they received from the mayor of Rio who met them when they arrived and gave them a key to the city. Clearly it had given Ivan hope for his operation. At the same time when asked about sources of support, he indicated that most of it came from Denmark and Finland, aid money on 2-year grants, and that he was going to have to lay off 80% of his staff next year. He said that was why he was down-scaling by trying to build a small compound in the countryside and hour and a half away. The operation was unique in its own way, and Ivan was inspired, but there were hurdles in the way of his vision. Arriving in Cochabamba, we realized how sui generis La Paz and El Alto were in some ways. Cochabamba seemed more like other large Latin American cities. Indigenous people were less ubiquitous. There were trees. We could breathe the air. Marcela Olivera, the Latin American coordinator of Red Vida (the Water Network) and a staff member for Food and Water Watch in Washington, DC, a long time ally of ACORN’s, gave us a briefing on the growth of the city, essentially having doubled to a million people over the last 25 years due to in-migration of miners and others from the countryside. 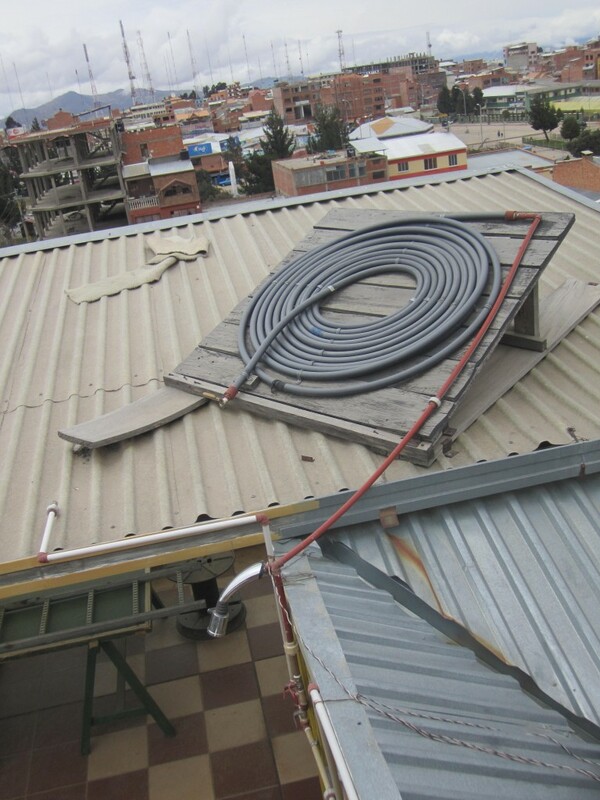 At the core of the city’s challenges has been the inability of the infrastructure to keep up with that growth, leaving one set of services in the northern, richer part of the city, and a very rough world lacking even basic services like water in the southern part of Cochabamba. Marcela was candid about tensions in the city around some of the new governmental requirements, which might seem well meaning, but were alienating both traditional peoples and practices and middle class citizens with other concerns. At the same time Evo Morales, the Bolivian President, had been one of those migrants into Cochabamba, leaving many with a feeling of pride at a native son, even as they were skeptical about some of the current directions of the government. Inevitably the conversation drifted to the unique vibrancy that social movements have had in Bolivia at different times. Marcela compared it to a year or two she lived in Washington, D.C., and her surprise that when an increase in the subway fares was announced she had gone underground gingerly, sure that there was bound to be a massive protest, “just like in her country,” and was still incredulous that there had been nothing of note. She worried that social movements were atrophying now under the Morales administration, either co-opted or confused that their friend could have changed so much. Those of us living in the United States understood exactly what she was talking about!